An unconventional love story frames this graceful, funny, and moving novel by a writer of exceptional talent. Rita, a hair stylist in her 20s attuned to the suffering of others and the ways that she can help, meets John Reed who, she observes, though not yet out of his thirties, "...seemed old, the way all sad people do." As they come to know, trust, and eventually love one another, John tells Rita "his only story," the one story that each of us tells that defines us the most. In a dark, terrible moment five years earlier, John's brother Roger killed his own wife and then himself, orphaning their then 3-year-old daughter, Aileen. After Aileen is adopted by her dead mother's close-knit trio of sisters, John is excluded from contact with her in memory of his brother's tragic act. With Rita's help, ties are slowly reestablished with Aileen, and John and Rita's own relationship moves in a direction that seems at once inevitable and completely unexpected. An exploration of love, sacrifice, and the bonds of family which will appeal to readers of Lorrie Moore, Ann Hood, and Rosellyn Brown, Monica Wood's novel speaks to our deepest longing and brightest hopes. Monica Wood fiction has appeared in numerous magazines, been anthologies and has been awarded a Pushcart Prize. She is the author of an earlier novel, Secret Language, and lives in Southern Maine. 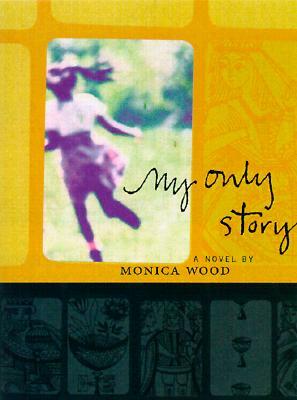 "Monica Wood's MY ONLY STORY is a thoroughly captivating book: warm and wise and beautifully written." "With luminous and graceful prose, Monica Wood has brilliantly captured the human need to love, the heart's desire to nurture, the soul's urge to sacrifice. She has written a novel that is both funny and moving, entertaining yet transcendent. This is a perceptive and loving book."